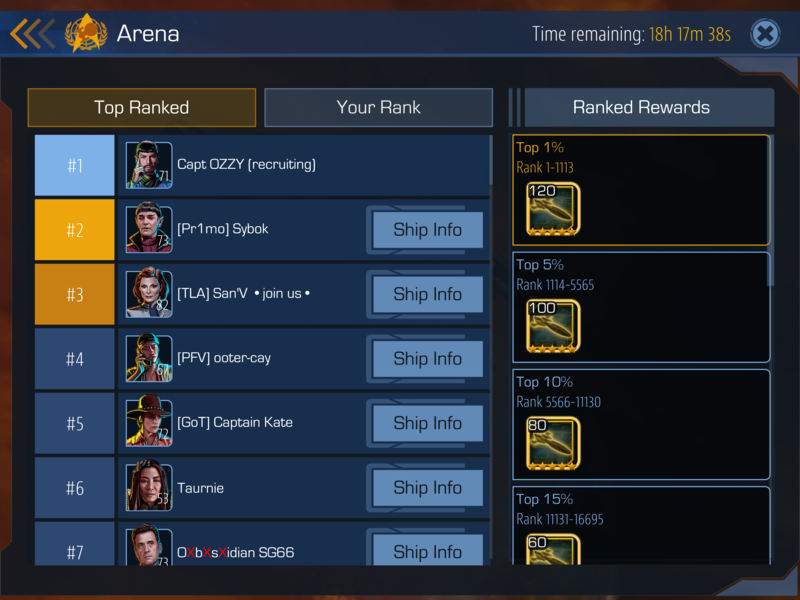 Please excuse the badly written message I’m not used to posting ads.We finished our last several events in between the top 1% and 2% of all active fleets. Please remember there are over 10,000. We are continually improving. Here are our philosophies and reason to join . 1. All the officers are friendly and helpful. All questions are politely answered and all knowledge Shared. 2. We have a Starbase approaching the mid 70s. 3. We have several championship level players. That includes the battle arena and the gauntlet. We will teach you and help you meet your goals. 4. We have no minimum VIP or spending And we never will. 5. We are looking for a player who plays daily and participate in all events. Each captain must complete a minimum of 75 missions in 48 hours. If Something comes up with work, school, family etc. we understand and will hold your spot. 6. Level 40 is the minimum. 7. We are Now competing with only other amazing Fleets so a little bit of a competitive Nature is a good thing. 8. In conclusion if you want to play with a great squad who continues to improve and is also friendly and respectful please check us out. Thank you. Hi everyone I just added Two photos. 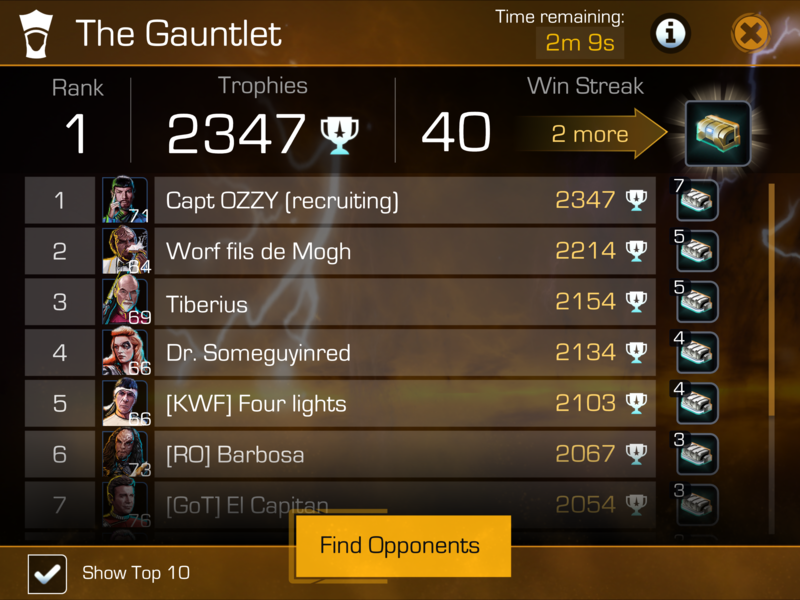 I wanted to show that we have many champions in our Fleet. The admirals division was taken two minutes ago and the gauntlet was taken at the end of the competition yesterday.I apologize for just photos from myself but we have many other extraordinary officers and captains. PS I’m not great with computers I hope the way I posted them is satisfactory. The position was just acquired by a wonderful captain..Thank you Your interest.Please feel free to contact me at anytime if you’re interested in our fleet it really is a Wonderful group of Star Trek fans helping each other, moving up the ranks, while having a good time. PS. We don’t get very many openings but it can happens if you want to be a part of a great group of people still feel free to message me. A position has just opened up.